When selecting your dream address at a Lanser development, you can rest assured that we’ve done the hard work to ensure your new home will be conveniently located, connected to the best services and surrounded by lush parks, play spaces and recreational facilities. With nearly 20 years industry experience, Lanser is passionate about masterplanning award-winning communities to deliver design and lifestyle led outcomes for all our residents. **Purchasers must settle on eligible titled allotments on or before 30th June 2019. Eligible lots include Lot 88 (savings of $7,467.50), Lot 31 (savings of $7,361.25), Lot 74 (savings of $6,957.50) and more. 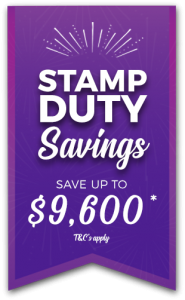 Savings are computed through RevenueSA’s Stamp Duty on Conveyances Calculator (available via https://www.revenuesa.sa.gov.au/taxes-and-duties/stamp-duties/calculators/stamp-duty-on-conveyances-calculator-new). Refer to project consultants for full offer details. 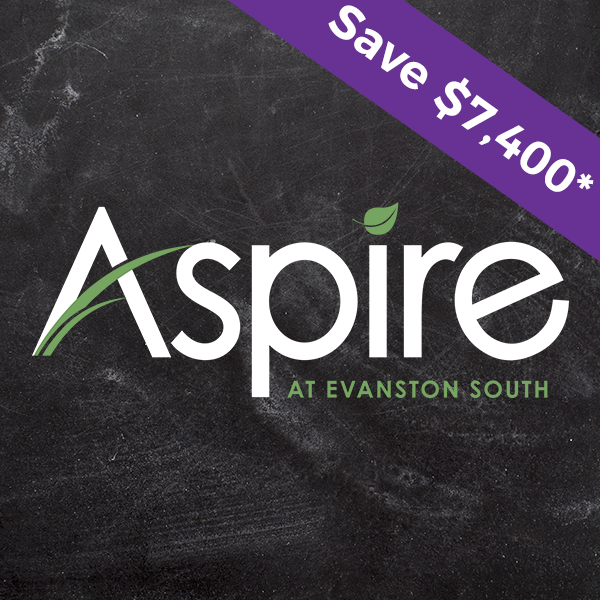 Stamp duty savings (exclusive of any foreign purchaser surcharge) will be paid by Aspire at Evanston South at the time of land settlement. If the said allotment settles on or after 1st July 2019, the promotion is void and the purchaser will be responsible for meeting the full cost of the stamp duty. Not valid with any other promotions or offers. T&Cs apply. RLA 268 669. **Purchasers must settle on eligible titled allotments on or before 30th June 2019. Eligible lots include Lot 215 (savings of $9,667.50), Lot 217 (savings of $8,232.50), Lot 2089 (savings of $7,892.50) and more. Savings are computed through RevenueSA’s Stamp Duty on Conveyances Calculator (available via https://www.revenuesa.sa.gov.au/taxes-and-duties/stamp-duties/calculators/stamp-duty-on-conveyances-calculator-new). Refer to project consultants for full offer details. 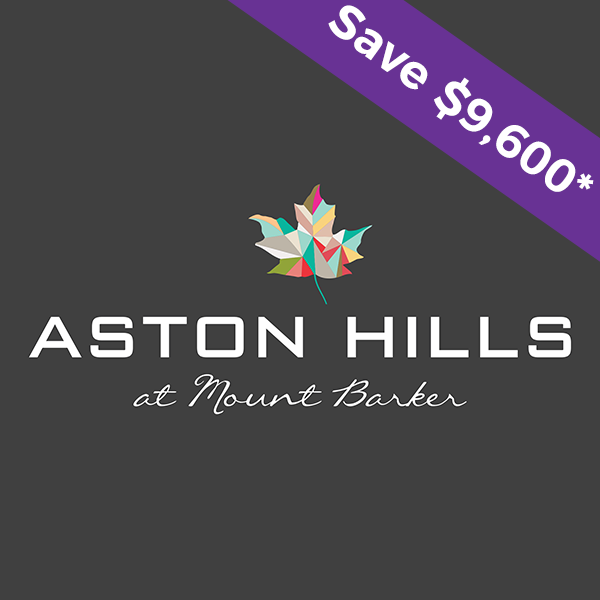 Stamp duty savings (exclusive of any foreign purchaser surcharge) will be paid by Aston Hills at the time of land settlement. If the said allotment settles on or after 1st July 2019, the promotion is void and the purchaser will be responsible for meeting the full cost of the stamp duty. Not valid with any other promotions or offers. T&Cs apply. RLA 268 669. **Purchasers must settle on eligible titled allotments on or before 30th June 2019.  Eligible lots include Lot 197 (savings of $8,700), Lot 200 (savings of $7,892.50), Lot 149 (savings of $7,255) and more. Savings are computed through RevenueSA’s Stamp Duty on Conveyances Calculator (available via https://www.revenuesa.sa.gov.au/taxes-and-duties/stamp-duties/calculators/stamp-duty-on-conveyances-calculator-new). Refer to project consultants for full offer details. 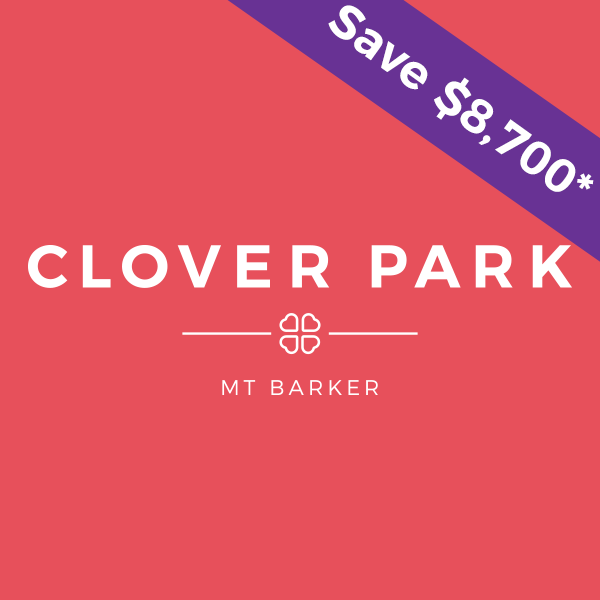 Stamp duty savings (exclusive of any foreign purchaser surcharge) will be paid by Clover Park at the time of land settlement. If the said allotment settles on or after 1st July 2019, the promotion is void and the purchaser will be responsible for meeting the full cost of the stamp duty. Not valid with any other promotions or offers. T&Cs apply. RLA 268 669. **Purchasers must settle on eligible titled allotments on or before 30th June 2019. Eligible lots include Lot 151 (savings of $4,570) Lot 172 (savings of $4,450) Lot 146 (savings of $4,390) and more. Savings are computed through RevenueSA’s Stamp Duty on Conveyances Calculator (available via https://www.revenuesa.sa.gov.au/taxes-and-duties/stamp-duties/calculators/stamp-duty-on-conveyances-calculator-new). 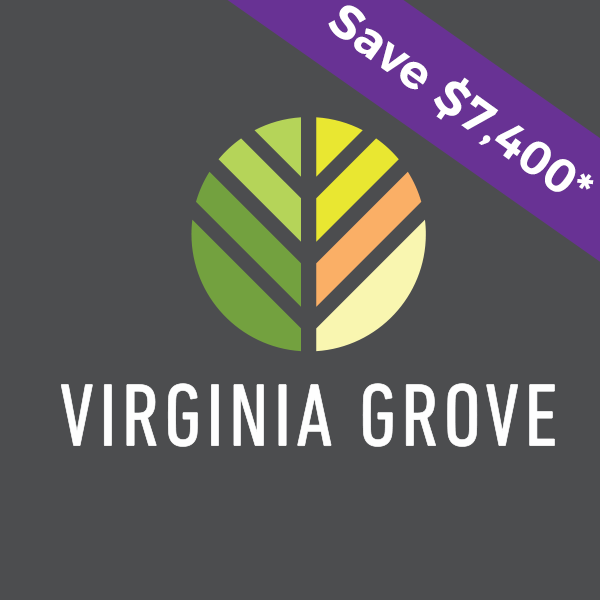 Refer to project consultants for full offer details. Stamp duty savings (exclusive of any foreign purchaser surcharge) will be paid by Freeling Estate at the time of land settlement. If the said allotment settles on or after 1st July 2019, the promotion is void and the purchaser will be responsible for meeting the full cost of the stamp duty. Not valid with any other promotions or offers. T&Cs apply. RLA 222 770.